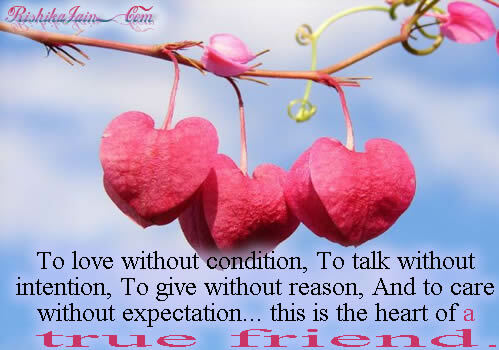 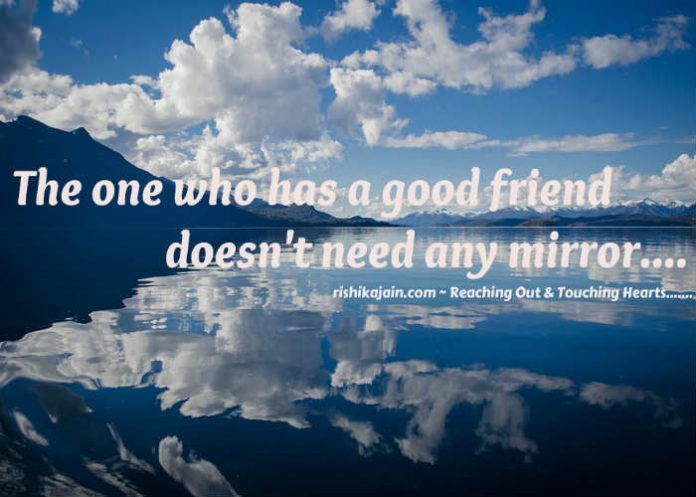 Life life without expectations …..
Heart of a True Friend…..
To love without condition, To talk without intention, To give without reason, And to care without expectation… this is the heart of a true friend…. 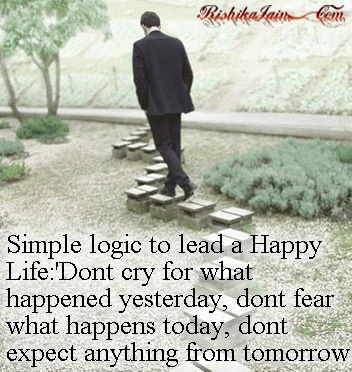 Simple logic to lead a Happy Life : Don’t cry for what happened yesterday, don’t fear what happens today, dont expect anything from tomorrow . 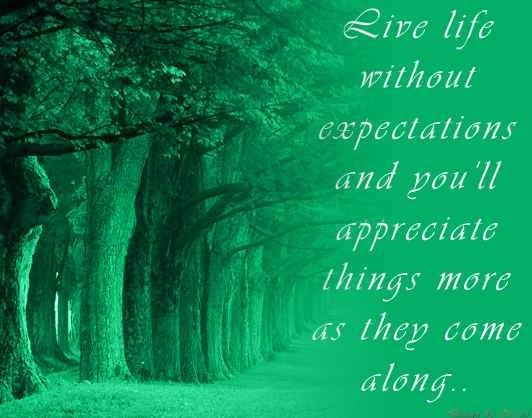 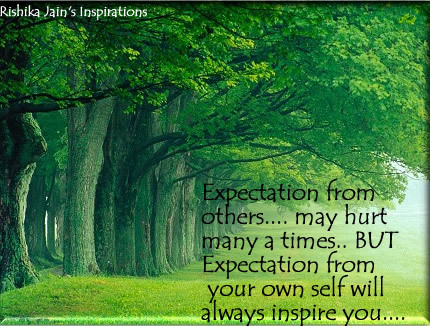 Expectation from your own self will always inspire you….